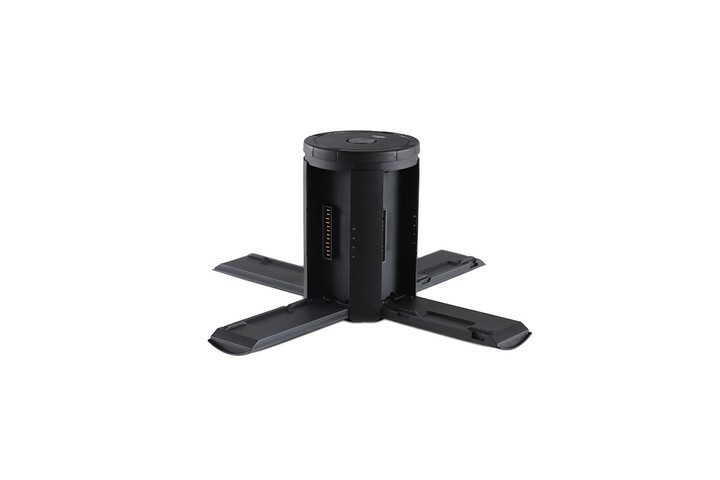 The Inspire 2 Intelligent Flight Battery Charging Hub is designed for use with the Inspire 2 Battery Charger. Four Intelligent Flight Batteries can be placed in the Charging Hub at once, and a maximum of two batteries will be charged at a time. The battery pair* with more stored power will be charged first. The Charging Hub will intelligently charge batteries in sequence according to battery power levels from high to low, if batteries are not paired. Pairing can be carried out using the DJI GO 4 app. The Micro USB port is used for firmware updates. * Visit the Official DJI website and download the Inspire 2 User Manual for more information on how to pair batteries using the DJI GO 4 app. This product is included with the Inspire 2 and Inspire 2 Premium Combo. Four Intelligent Flight Batteries can be placed in the Charging Hub at once, and a maximum of two batteries will be charged at a time.